A T-shirt order form, or “tee shirt”, is a document used by clothing stores to sell bulk quantities to an individual or business. 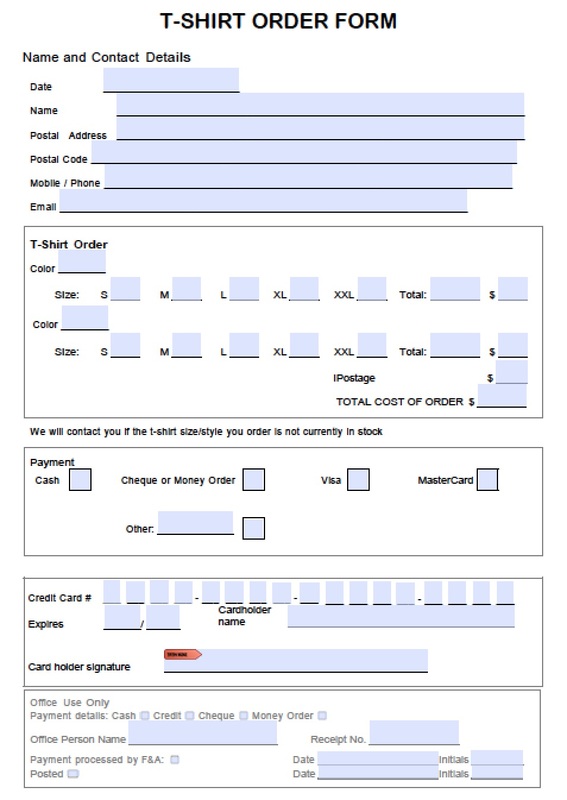 The form may be filled in via Microsoft Word, Adobe PDF, Rich Text Format (.rtf) or by hand after printing. After the form is complete the cardholder should print and sign by hand to authorize the purchase.